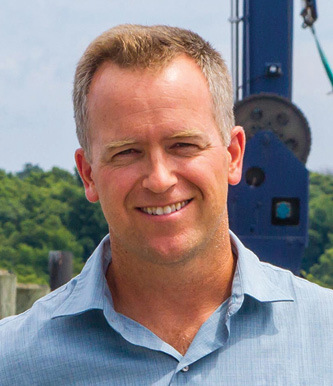 Bristol Marine, which operates four full-service yacht yards in three states, has promoted Patrick McLoughlin to Vice President of Operations. McLoughlin’s primary responsibilities will include oversight of all business operations at Bristol Marine’s locations in Bristol and Newport, RI, Somerset, MA and Boothbay Harbor, ME. He will also continue to implement Bristol Marine’s many education and training initiatives, and will develop innovative ways to deepen the relationship with the company’s customers. Prior to joining Bristol Marine, McLoughlin worked in management and engineering roles at the Pearson Marine Group and Alden Yachts. He is a graduate of Dartmouth College and The Landing School of boat Building and Design. During his six years with Bristol Marine, he served as a Customer Service Manager and Operations Manager. “Patrick is totally committed to advancing a culture centered around improving skills and creating growth opportunities for the employees at Bristol Marine,” said company President Andy Tyska.